Prosecutor Don Nottingham, however, said that Johnson was filling those community roles — which also included coaching kids’ hockey and football — while he was allegedly stealing more than $2 million “over a lengthy amount of time.” In addition, the Johnsons are each facing up to 24 years in prison if convicted, which could provide a compelling reason for them to flee, Nottingham said. Seldin noted that he initially set the bond lower than the prescribed amount, and decided Monday to keep the Johnson’s bonds at $10,000 cash or surety. As of Monday afternoon, neither Johnson was listed as an inmate on the Pitkin County Jail’s online roster. Spreadsheets found on Johnson’s computer at his home showed that between 2010 and 2018, he and his wife listed $2,146,180 in total sales from the eBay account, according to the court documents. That is a total of $2,415,163 in alleged theft, according to the Johnsons’ arrest warrant affidavits. “I did not find any receipts or documentation relating to the procurement of ski equipment,” Aspen police Detective Adriano Minniti wrote in an arrest warrant affidavit filed in Pitkin County District Court. In a file found on his computer titled “timeline,” Johnson said the eBay situation started as a way for D&E to reduce used inventory and was run, at first, with Skico knowledge, according to the documents. The operation wound down when his children were young and when he was on the city council, then was brought back and “intended to (be) run above board,” the documents state. It eventually “spiraled out of control,” Johnson wrote in the file, according to the documents. Johnson told Aspen police that senior Skico executives did not know he had re-started the eBay business and that his wife was the only other person involved, though he was solely responsible for obtaining the skis, according to the documents. On Monday, Johnson’s lawyer said the couple own only their employee housing unit in Aspen and no other property. Sky-Hi News had a strong showing during the press awards banquet, covering work done in 2018, bringing home 28 separate awards including the distinguished Best of Show award for the paper’s advertising department. Each year the Colorado Press Association selects winners in a variety of categories. Newspapers from throughout the state compete against each other based upon their respective circulation class. However, each year the Colorado Press Association selects three newspapers to receive Best of Show awards for advertising, editorial content, and photography and design. The Best of Show category does not distinguish between newspapers of varying sizes with twice-weekly papers, such as Sky-Hi News, competing directly against large daily papers like the Denver Post. Sky-Hi News also received the 2018 Editorial Sweepstakes award for its circulation class for its outstanding editorial content in 2018. In total Sky-Hi News received 28 awards including the Best of Show and Sweepstakes award. Overall the paper received 13 first place awards and 13 second place awards. Of the total awards received by the Sky-Hi News staff, the paper received seven advertising awards, 11 editorial awards and nine for photography and design work. Gov. Polis signed HB 19-1153 into law this past Friday, April 5. The bill was sponsored by a bipartisan mountain delegation, including Summit’s own Rep. Julie McCluskie (D-Dillon) and Sen. Bob Rankin (R-Carbondale), and passed both houses of the state Legislature unanimously. The act authorizes CMC, a public institution, to expand the number of bachelor’s degree programs from the five offered there since 2010 to a “limited” number of bachelor’s programs. A definite number of additional offerings will be decided by the school’s board of trustees after consultation with Western Slope communities and the state department of higher education. The college will take into account community and regional needs when finalizing new program offerings. Testifying in favor of the expanded bachelor program offerings last week were two Summit County locals, current CMC student Stephanie Beste and recent CMC graduate Flor Cruz Valdez, who both benefited from the introduction of bachelor’s degrees to CMC back in 2010. Beste started her higher education at CMC two decades ago, when she got her GED there. She went on to spend long hours commuting to Denver for a dental certificate, and then earned two associate degrees at CMC Breckenridge. Beste is now a nontraditional student and financial aid advisor at CMC, who is close to completing a bachelor’s degree in business administration. In her testimony to the House and Senate Education committees, Beste urged legislators to pass the bill and give High Country residents the freedom to learn and grow where they live. Valdez, the first member of her family to complete college, also earned a bachelor’s of business administration from CMC Breckenridge. She now works at CMC as an academic advisor. Valdez testified that shortly after starting classes at the college she lost her mother to cancer. Valdez said she was able to move forward and complete her education because of the community within and around CMC Breckenridge, a critical component to higher education. At the moment, CMC offers bachelor’s degrees in nursing, elementary education, business administration, sustainability studies, and leadership and management. CMC has 11 campuses with 20,000 students across six counties — Eagle, Grand, Jackson, Lake, Garfield, Routt and Summit, where CMC has campuses in Breckenridge and Dillon. McCluskie said that she would like to see secondary education as an offering, as it would create the kind of “grow your own teacher” ecosystem that could help with critical teacher shortages in the High Country. McCluskie would also like a forestry degree introduced in association with Colorado State University, with foresters being another local need and career that could be cultivated in Summit County. CMC communications director Debbie Crawford said that while more discussion is needed with various official agencies and stakeholders, secondary education is definitely an area the school is looking at for a bachelor’s degree. Others may be in high-growth fields such as health care and local government. State Rep. Chris Hansen, a Denver Democrat and budget writer, said the budget package boosts spending in key areas, such as education and road building. “We are making historic investments across the areas we care about,” he told lawmakers. Motorists are breaking the law if they try to traverse snow-covered mountain roads in Colorado in two-wheel drive vehicles without specialized tires, chains or other grip-control devices. But now a bill that’s nearing passage in the state legislature would make Colorado’s traction statute a snow-or-shine, all-winter-long policy on Interstate 70, mandating that from September through May drivers traveling between Morrison and Dotsero prepare their vehicles for whatever Mother Nature has in store. And there’s more: The measure also instructs the Colorado Department of Transportation to explore how to best educate the public about the would-be law and enforce it. Checkpoints are one possible tool to ensure the policy is being followed. It was a wild Wednesday in Colorado this week as a second “bomb cyclone” moved across the High Country and eastern plains dumping multiple inches of snow and depositing over 20 inches at Winter Park Resort. Thursday morning officials from Winter Park Resort reported that 21 inches of snow had fallen at the ski area in the previous 24 hours with 14 of those 24 inches falling overnight. Steve Hurlbert, spokesman for Winter Park Resort, stated the snowfall over the past day represents the largest one-day accumulation Winter Park has seen this season. The early April powder day brings the resort’s total snowfall this season to 302 inches, from a total of 70 snowfall days, according to ski resort snowfall data aggregation website On The Snow. Prior to this week Winter Park Resort saw its largest one-day accumulation total on March 14 when the resort received 16 inches. The summit snowpack base at Winter Park is holding strong despite warm spring temperatures that have climbed into the 50s multiple times in the past few weeks. As of Thursday morning the summit based was tallied at 102 inches while the base area snowpack remained strong as well at 98 inches. Open Snow, another popular resort snowfall data aggregation website, estimated Winter Park Resort’s snowpack at 116 percent of historic averages as of April 11. All around Grand County local ski areas experienced varying amounts of snowfall. Steamboat Springs ski area, northwest of Middle Park, was reporting nine inches in the past 24 hours on Thursday though no overnight snowfall. Copper Mountain, just west of Frisco, saw six inches of snowfall overnight and 10 in the previous 24 hours. Things were paltry for Keystone, which reported no new snow in the past 24 hours as of Thursday morning. Closer to the Continental Divide Arapaho Basin received six inches in the previous 24 hours while Loveland tallied eight. The situation was slightly better for Eldora, which reported 10 inches of snowfall in the past 24 hours as of Thursday morning. Over one year after local authorities initially raided a black market marijuana growing operation in Grand County, the defendant in the case has pleaded guilty. On Thursday morning, Matthew Niedermeyer, 43, of Granby pleaded guilty to three separate charges, including two felonies and one misdemeanor, as part of a plea agreement worked out with officials from the 14th Judicial District Attorney’s Office. He pleaded guilty to possession with intent to manufacture or distribute marijuana or marijuana concentrates, a class two drug felony, tax evasion, a class five felony, and distribution of marijuana or marijuana concentrate, a class one drug misdemeanor. According to officials from the district attorney’s office, Niedermeyer faces a maximum sentence of eight years under the terms of the plea agreement he signed. He is scheduled for sentencing in Grand County District Court at 9:15 a.m. June 6. According to the district attorney’s office, the investigation also revealed that Niedermeyer evaded taxes to the state of Colorado, the city of Granby and Grand County totaling more than $83,000. 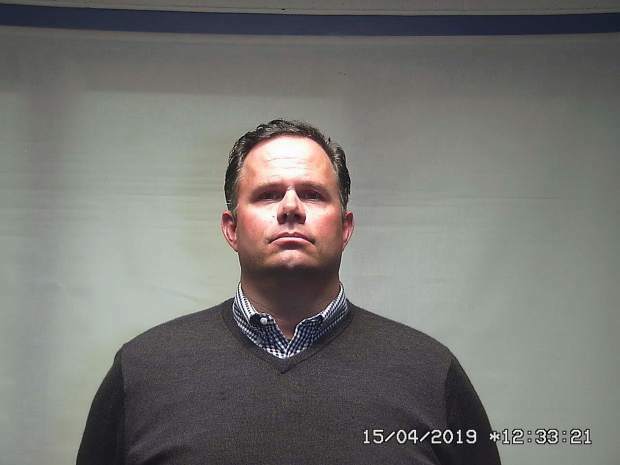 The investigation into Niedermeyer’s activities entered the public sphere last March when local authorities raided two separate locations connected to Niedermeyer’s black market marijuana operation. The two separate marijuana grow sites were located in a neighborhood in Granby Ranch and near Lake Granby respectively. At the time of those raids, multiple individuals were detained and questioned by authorities though no arrests were made and no formal charges were filed. Formal charges were filed against Niedermeyer roughly two months later in May 2018. The district attorney’s office initially filed 22 separate criminal counts against Niedermeyer related to the black market grow operation. The Granby Police Department conducted the investigation into Niedermeyer’s black market marijuana operation with assistance from the Grand County Sheriff’s Office, Colorado State Patrol, Colorado Marijuana Enforcement, the Fraser-Winter Park Police, 14th Judicial District Attorney’s Office and the Department of Revenue Criminal Investigation Section. Deputy District Attorney Kathryn Dowdell prosecuted the case. Walter will run out of gas on this day too. After just two runs down Keystone Resort’s short, beginner Scout trail at the top of Dercum Mountain, he will download the gondola to return to his home at Copper Mountain. That’s where the remnants of March’s epic snowfall still rise above his first-floor windows. It’s at his home in Copper Mountain where Olya Alden of Frisco has lived with Walter for the past three months. Alden, who also works as Timberline’s activity coordinator, moved in with Walter full-time in January to aid in helping to keep him as independent in his daily life as possible, though that’s proved a test. 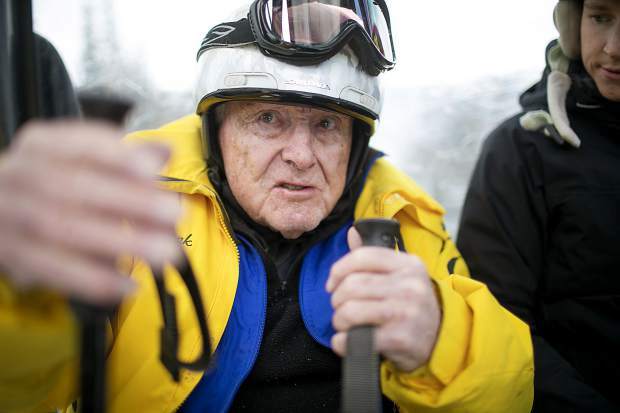 Though rewarding, Alden said living with a 96-year-old can prove trying at times. For example, in more serious situations, she is there to help him when he is confused. She’s also there to help with less pressing matters, such as putting the milk back in the refrigerator when Walter’s forgotten. “But he has a lot of stories,” Alden said. Along with keeping pace with those tangential stories, Alden has also experienced situations she’s found rewarding, such as last month, when Walter looked outside his condo with excitement. A major snowstorm dumped nearly 2 feet of snow at Copper. On that snow day, Alden and Walter remained inside his condo at Copper as the body-width tunnel through the snow leading to his door was flanked by walls taller than him.